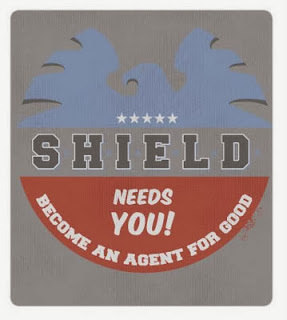 Steve Thomas [Illustration]: Become an agent of S.H.I.E.L.D. If you plan on watching this season's much anticipated "S.H.I.E.L.D." from Marvel and ABC, be sure to check out all the official S.H.I.E.L.D t-shirts over at WeLoveFine.com.